Based on all the data since GDP records began, one critical ingredient that’s missing to achieve persistent 5% growth is top marginal tax rates over 50%. Funny how rarely it’s mentioned that ever since top marginal rates dropped below 50%, we’ve had pretty anemic growth by historic standards. Turns out when taxes are low, the rich would rather take their money and have fun with it…when taxes are high, they’d rather get the deduction that comes from investing in their business and hiring more workers. It’s a simple matter of incentives. Government and Productivity is an anomaly. Government negates productivity. Ergo whatever Government does that slag in Productivity has to be picked up by the Private Sector. That is why we have the saying: “That Government is Best which is the Smallest”. Take a look at Delong’s analysis of Taylor’s numbers. I think class5 has an interesting comment too. Lofty goals are great—until they are not met. I wonder if JFK met the same sort of response when he proposed that we put a man on the moon? I was a young person then, but I don’t recall this amount of pushback to what then must have seemed unrealistically ambitious . Rather than judge Pawlenty by his goal, which strikes me as pretty ambitious, too, I think we should spend more time analyzing the specific policies he proposes to try to get us there. A little bit of National Accounting: production = demand = income. Part of the increase of production will have to be used to lower the deficit on the current account and turn it into a 1 or 2% surplus – 1 year of growth, with a much higher domestic savings rate which the government has to tax, to pay down the deficit. And the government will have to tax another 2 or 3%a year, too, to pay down the deficit – which will have to be accompanied by 2 to 3% of GDP in exports to sustain demand. 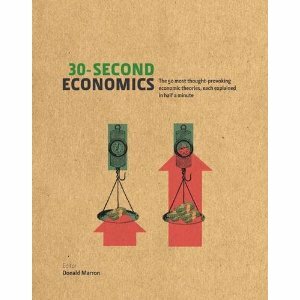 Donald Marron blogs his musings on Economics, Finance and Life. It seems that this post is his musing on life, its immense but often ethereal possibilities. To me, with a bad case of reality check, this encounter with fairy tales is unreal. Pawlenty, my former governer, Taylor and now Marron – what are they inhaling that gives off the sweet smelling 5% smoke? – 2.7% productivity improvement – never before seen. Especially TFP. – Aging society – cannot increase per capita hours worked (a contributor to the past productivity growth). everything can be solved with more tax cuts for the rich and less regulations for corporations and businesses. The corporate media keeps telling me this on every news and talk show at every opportunity. As should be apparent even to economist who live in some bizarre alternate dimension that barely intersects the real world, we are in a structural depression. Yeah didn’t see it coming, like 2008 it just happened, wasn’t on the charts, rough patch, green shoots, all is fine don’t panic etc. What would we really need for a persistent 5% growth rate? An infinite world, with infinite resources and an infinite birth rate. We live in a finite world with diminishing oil, increasing populations and a currency/banking system built on systemic fraud and looting, referred to in polite society as a “fiat” based currency system. The only infinite resource we have is currency/money, hows that working out so far? Economist love metaphors cause it gives them a known structure to build their dream on, so how about we try the old garden. A tomato plant can’t grow forever. Birth, growth, flower, fruit, seed, death, its a cycle. It works, it makes sure every tomato in the world doesn’t exist at the same time. It allows infinite tomatoes in a finite world. Recession/depression exists for a reason and when they are suppressed, they are prolonged and new growth is inhibited. You want 5% persistent growth? Change the system, purge existing inventory, invent new technologies, actually fulfill the needs of a world starving, sleeping in hungry poverty, in darkness; and filth, instead of playing with empty financial instruments valued off of the value of yet another worthless contract or collateralized debt obligation. Finance has been a tool to extract wealth from the lowest and move it to the highest. When finance again becomes a mechanism to improve the lot of all mankind growth will indeed be a persistent 5%, until then machine will cannabilze itself as it feeds on its own tail. Is it any wonder no one can think outside the box, when your very livlyhoods depend on your continued ignorance of the larger world? Stop thinking about how to make a buck for your masters and start thinking about how to make the world better for everyone, rich and poor, smart and not so much. For now the dismal science remains a fairytale that excludes anything that doesn’t fit the model, so likely this bit of prose will fall on deaf ears, its not required reading and the writer is not I fear a real economist. oh my….